Surprisingly, Melanoma Started It All – Keys Job? Repair What the Doctors Did to Me! Namely, I was diagnosed with early stage Melanoma and my entire body changed. While my skin disease was not the cause. Inasmuch, the prescription products were what damaged my skin. 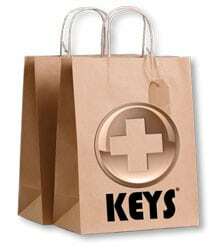 Timely, Keys Body Care was born out of love. So, my Melanoma was gone after the Mohs surgery. Sadly, I was now on a $1000 a month prescription skin drug regimen prescribed by the doctor. reality was that my skin was a wreck. My boyfriend and engineer, said, “Stop.” Stop everything! Lovingly and painstakingly, he invented Island RX Soap after about 300 attempts. Happily my skin was clear again. His lotions and skin therapies saved my skin and put me back on my ageless beauty quest.